Let your kids learn new musical skills with the help of our talented music professional. Magic City Music Academy offers various music classes to children aged 7 to 13 in Birmingham, AL and surrounding areas. Our academy ensures that we provide custom-made music programs to fit your school’s needs. We are currently offering music classes at the following schools: Saint Barnabas Catholic School, Holy Family Academy, Mount Pilgrim Christian Academy, and New Hope Christian School. Magic City Music is a division of Magic City Music Academy that partners with elementary and middle schools, as well as private and church-based schools, to provide music classes in the city of metro Birmingham. Many schools do not have active full-time music teachers and this program bridges the gap by providing custom-made music programs for their students. Classes include general music, choir, piano, drum, Orff, and voice lessons. For further information, call Joe Jenkins at (205) 786-4480 or (205) 585-4480. 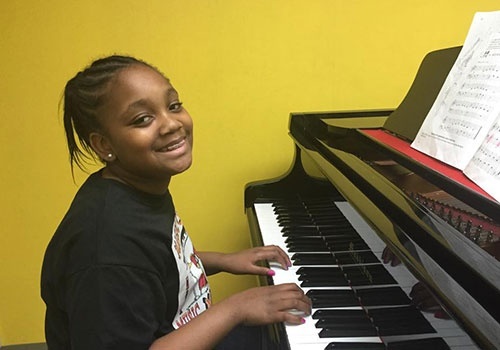 Magic City Music Academy offers various music classes for kids in Birmingham, AL. Enroll your children in our music programs today! For more information about our lessons, you may reach us through the contact details provided. You can also use our online registration feature to conveniently enroll your kids.